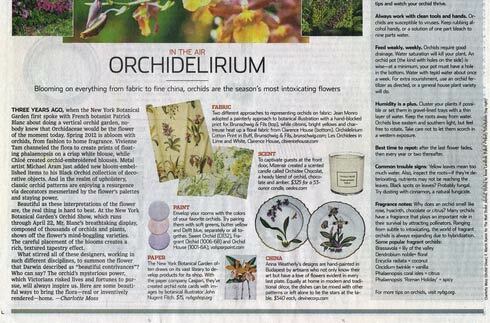 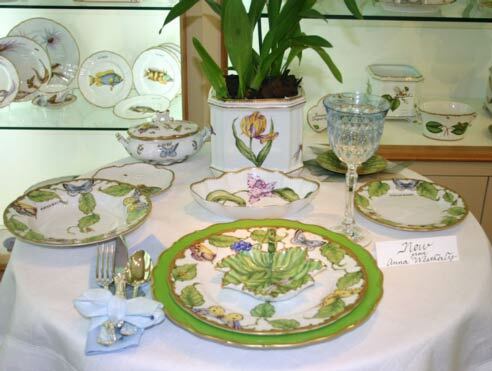 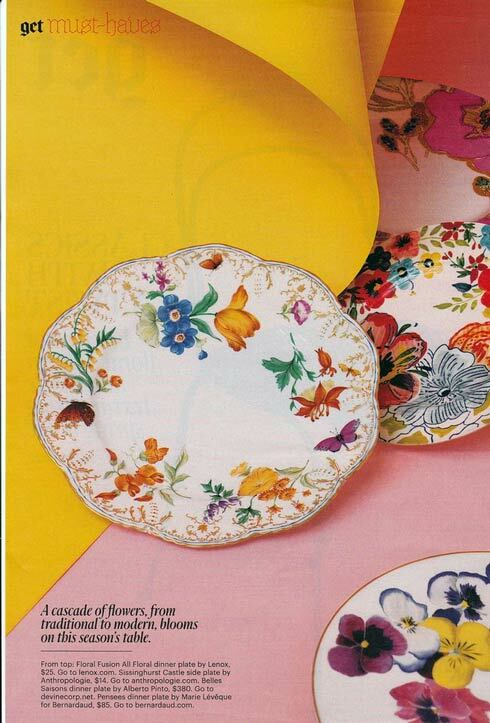 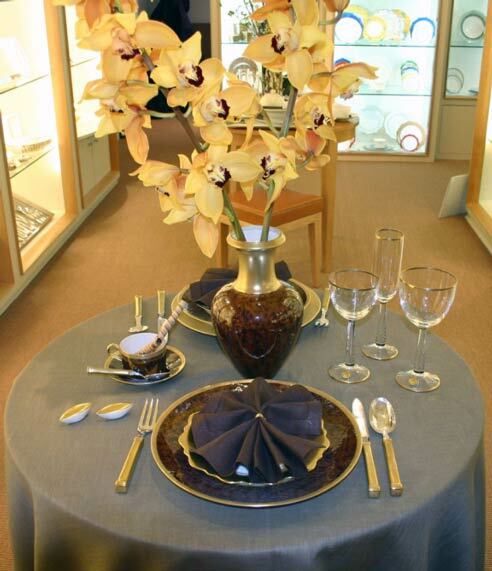 This weekend's Wall St. Journal profiles the popularity of orchids and mentions Anna Weatherley's fine china orchid plates. 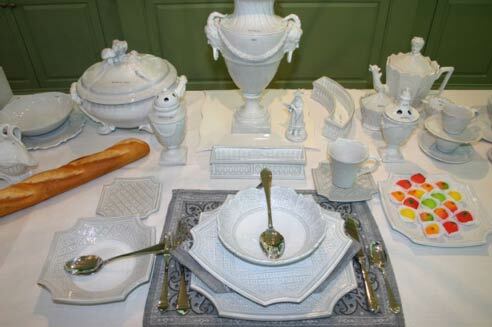 In this weekend's Wall St. Journal interview with chef Sang Yoon, the chef shares his fondness for Thomas Keller's Raynaud Hommage tableware. 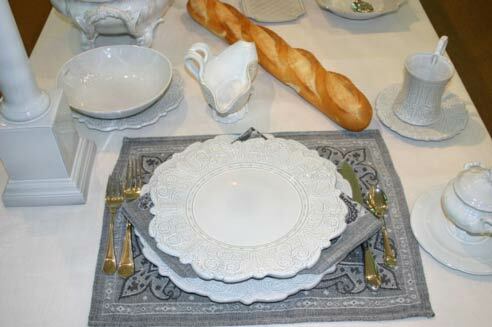 The specific item shown is the Hommage spoon. 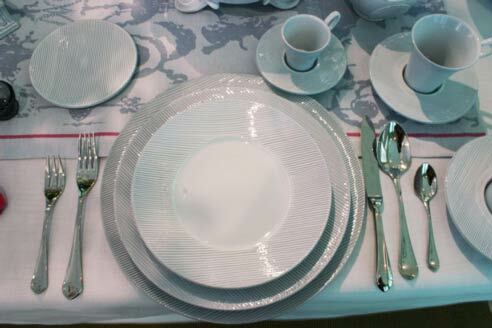 The Wall St. Journal profile's Thomas Keller, and mentions Keller's Raynaud hospitality tableware. 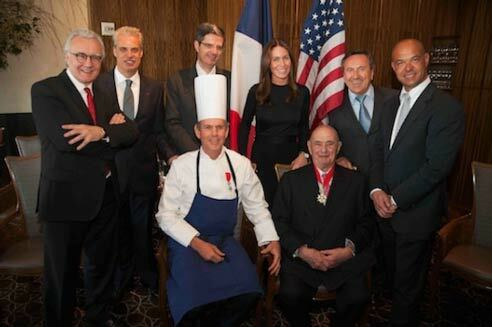 The only American chef to win three Michelin stars for two restaurants simultaneously, Thomas Keller is renaissance man of food. 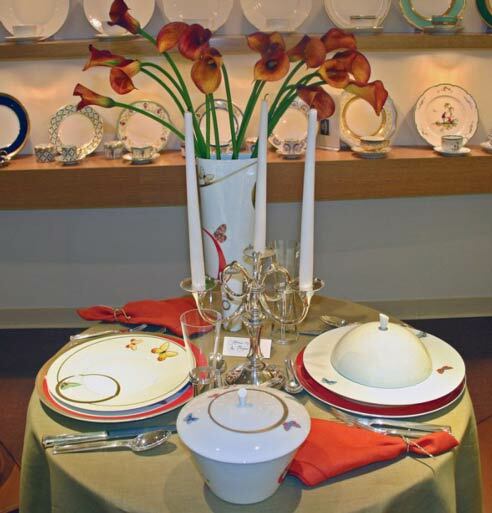 Owner of 13 restaurants on two coasts, including Napa Valley's landmark French Laundry and Manhattan's Per Se, he has sold half a million copies of his "French Laundry Cookbook," designed porcelain and silver for renowned French firms, and cooked (and plated) the climactic title dish for Pixar's "Ratatouille"—an animated film. 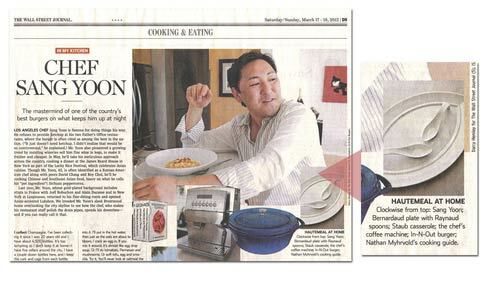 The Wall St. Journal profiled che Anne-Sopphie Pic in today's paper. 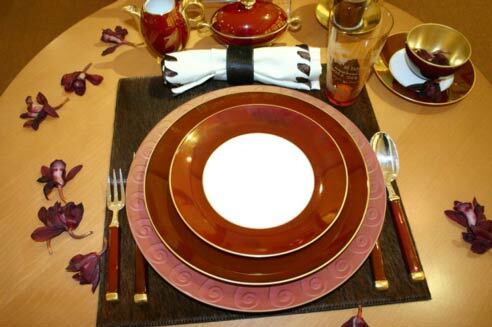 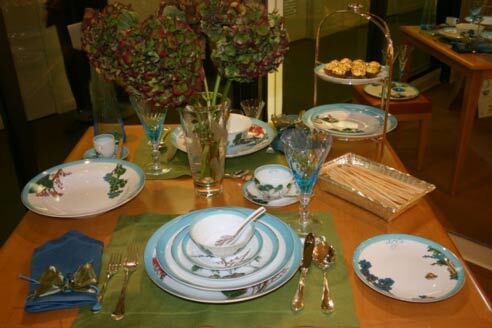 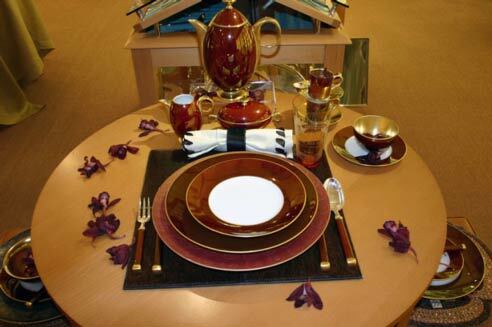 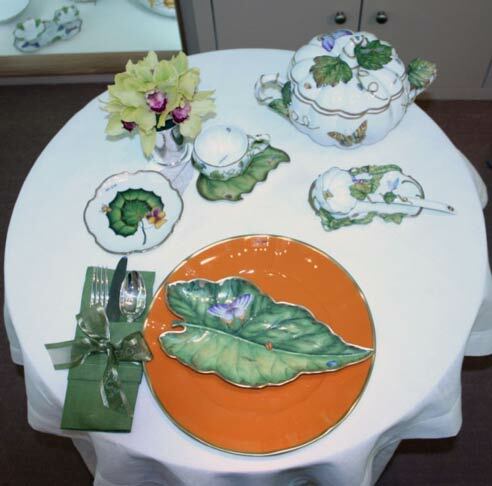 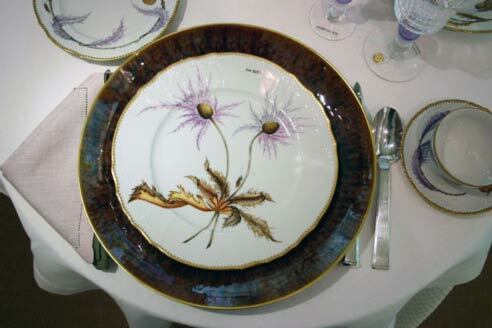 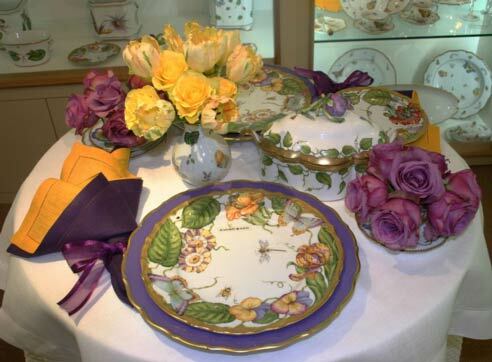 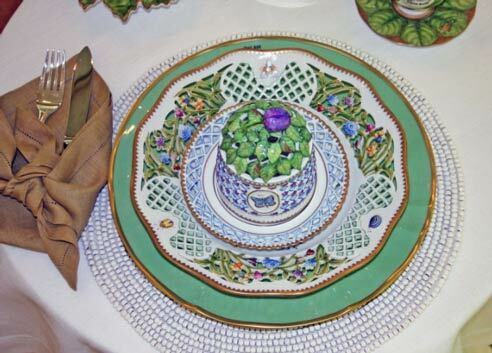 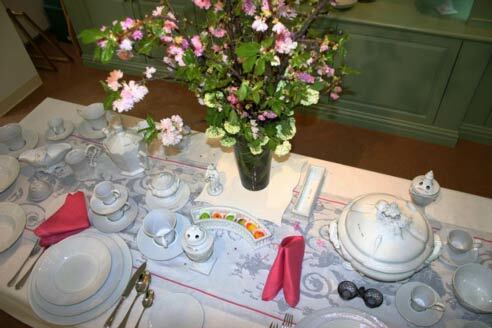 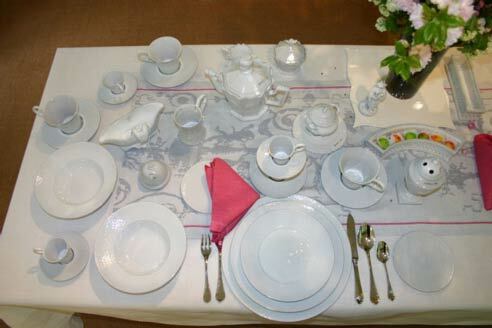 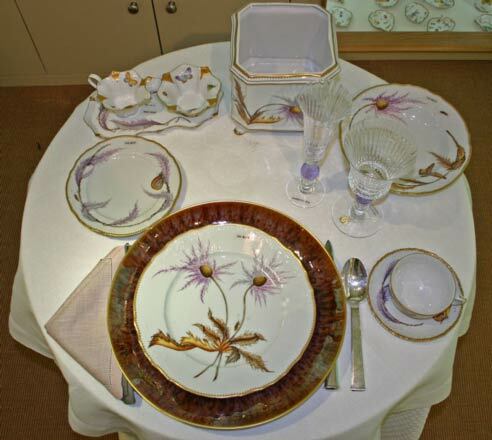 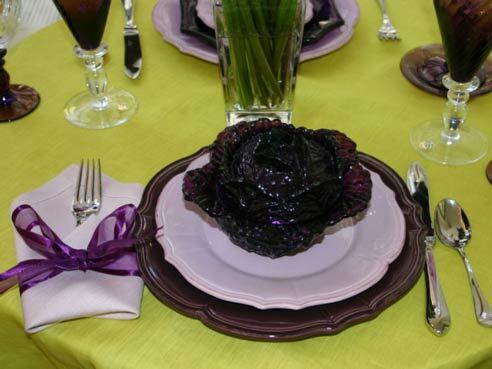 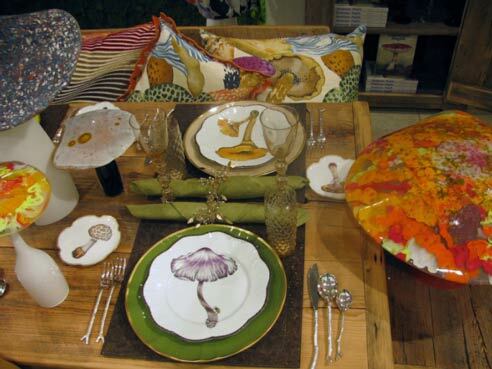 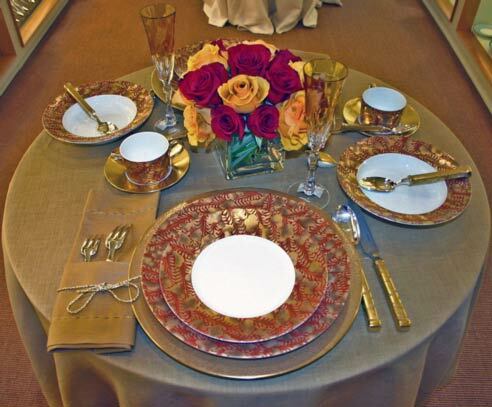 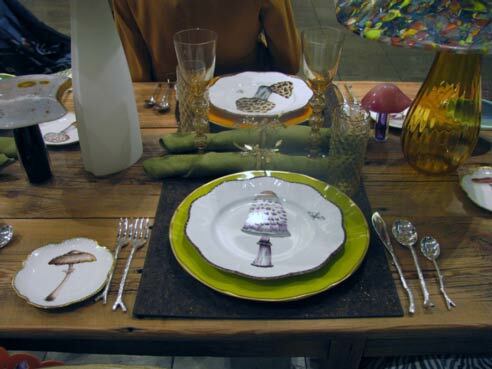 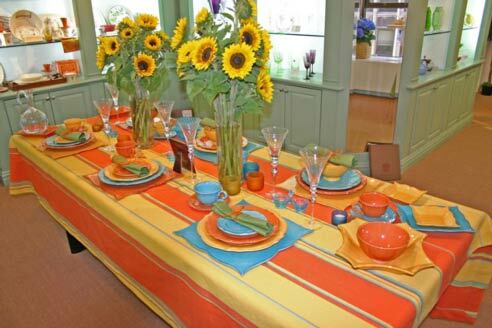 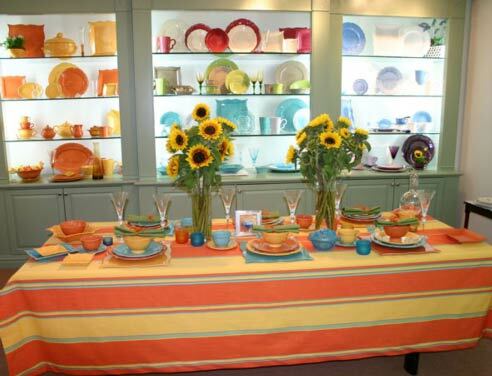 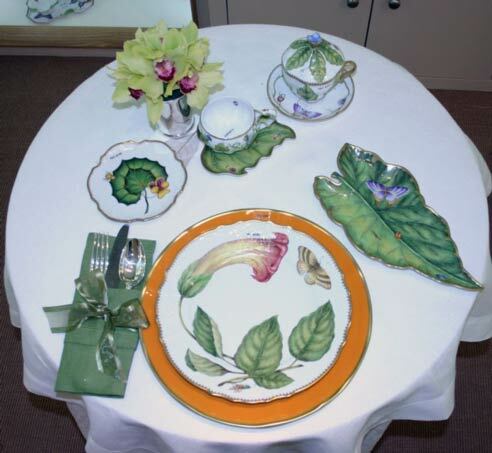 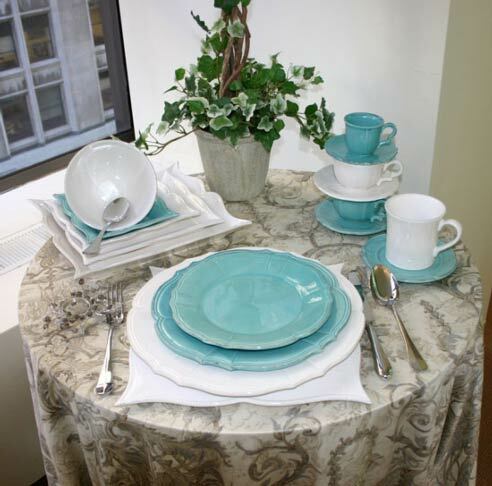 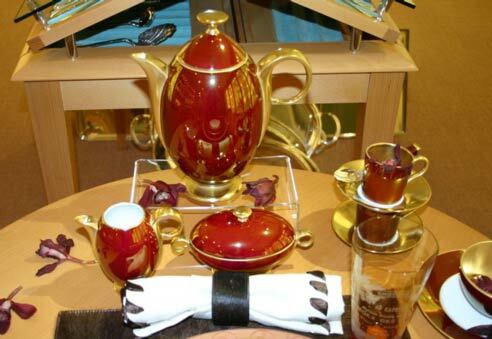 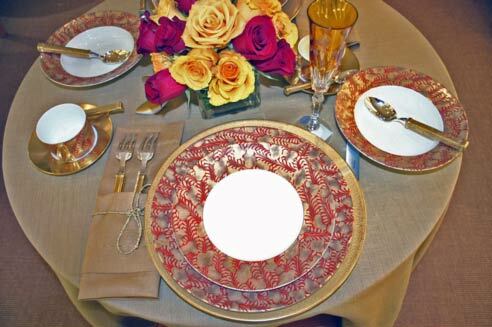 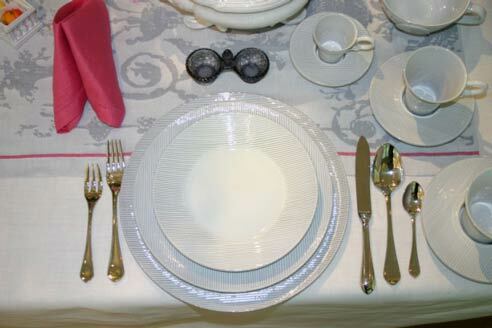 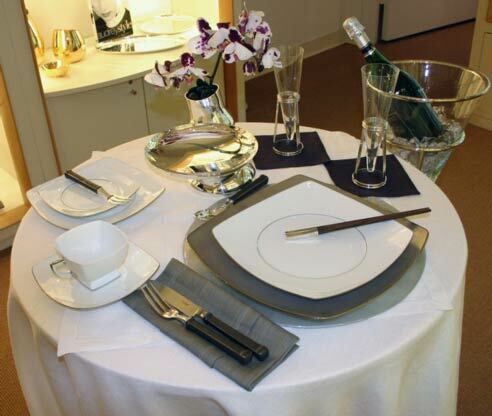 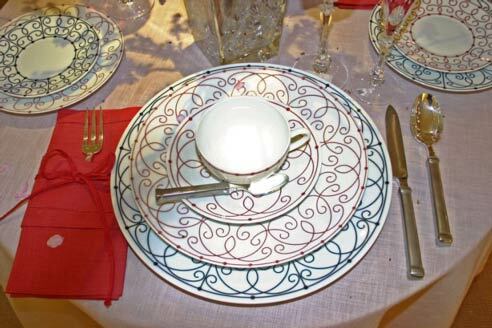 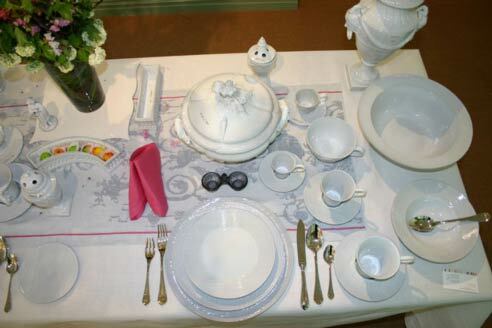 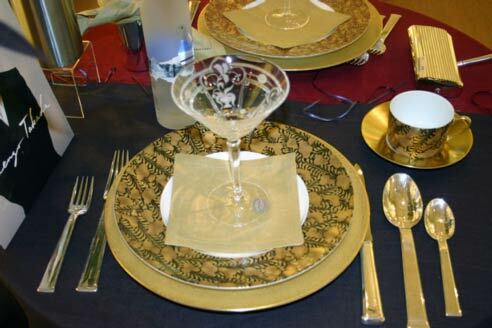 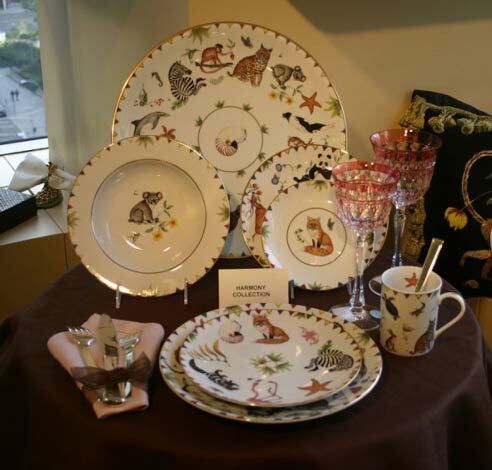 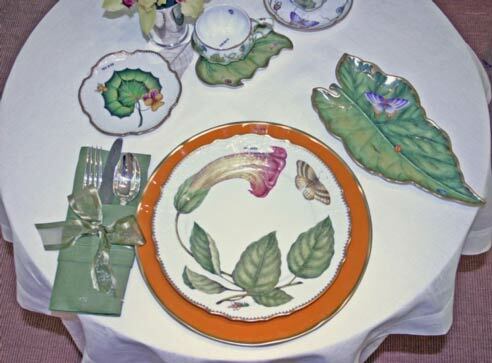 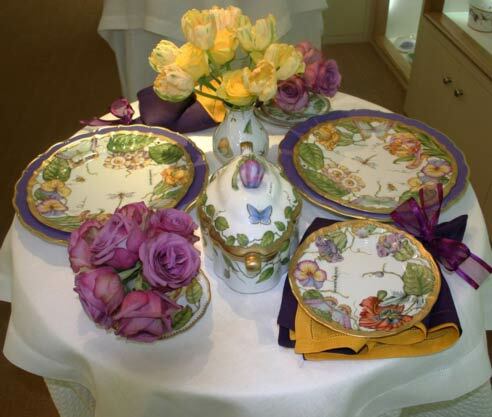 Mrs. Pic created a line of tableware with Raynaud that is sold by DeVine Corporation in the United States. 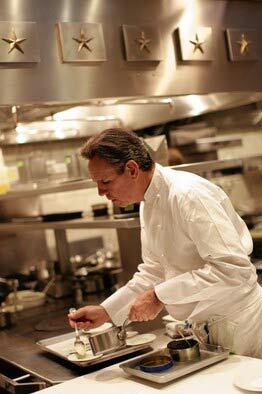 The Wall Street Journal spoke with Thomas Keller about food in today's paper. 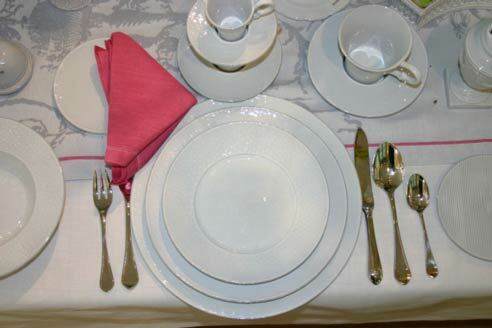 Mr. Keller uses Raynaud porcelain tableware to produce his Checks tableware that he uses in his restaurants. 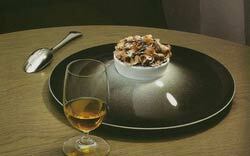 The award-winning chef Thomas Keller is well-known for the exquisitely presented dishes in his restaurants. 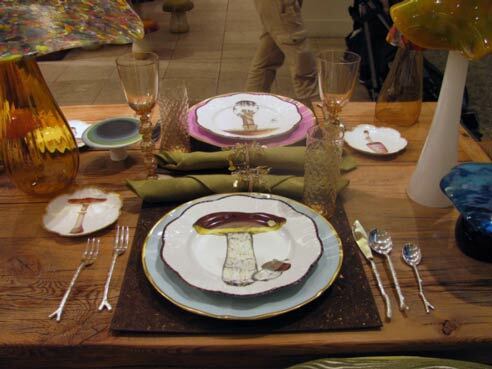 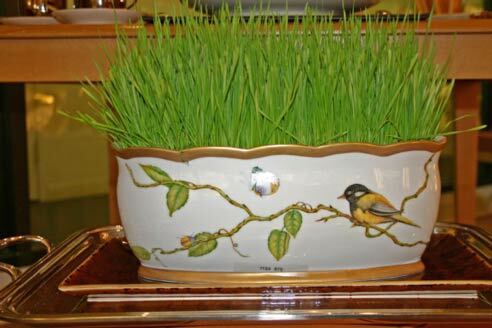 But an artful simplicity suffices when he is serving up food at home. 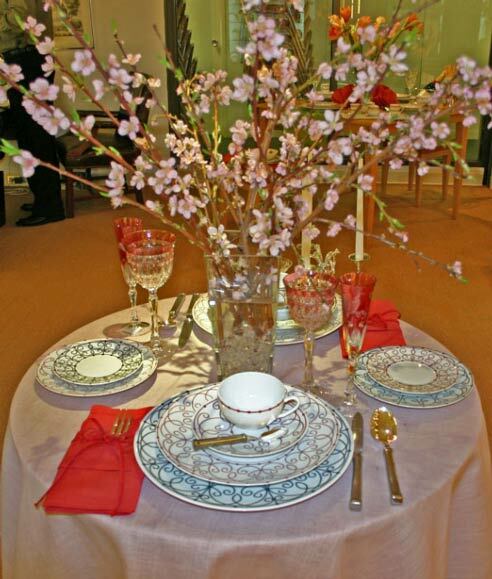 "You eat with your eyes—you use your eyes first," says Mr. Keller, whose restaurants include The French Laundry in Yountville, Calif., and Per Se in New York City. 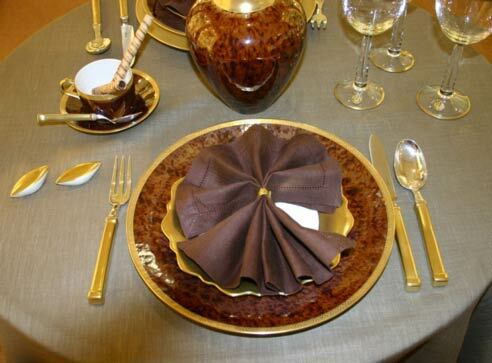 "So something that looks elegant and nice also looks appetizing." 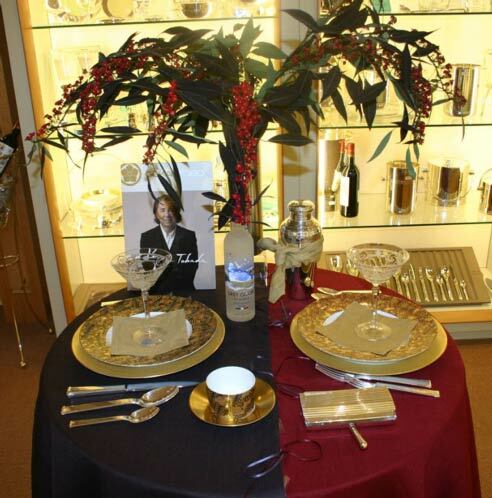 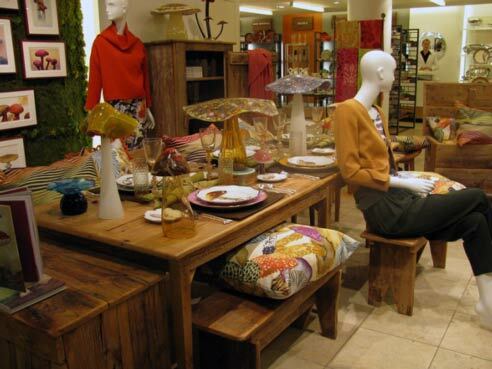 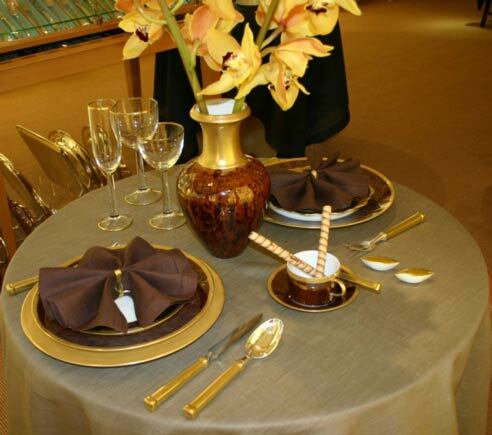 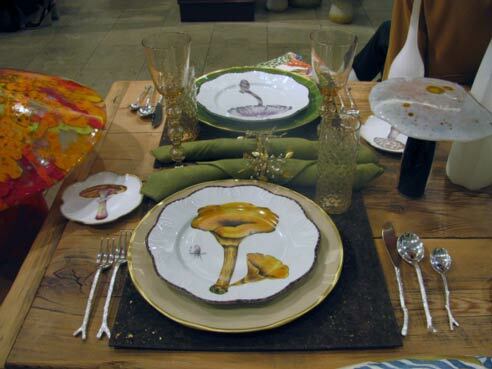 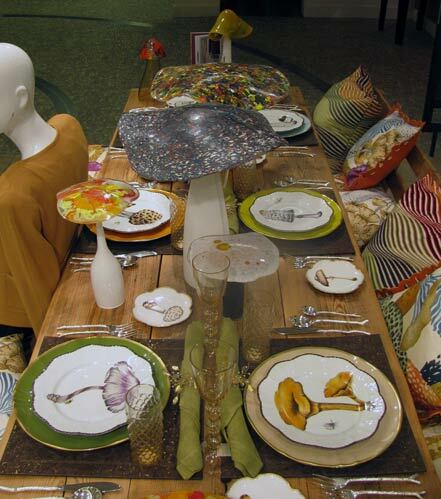 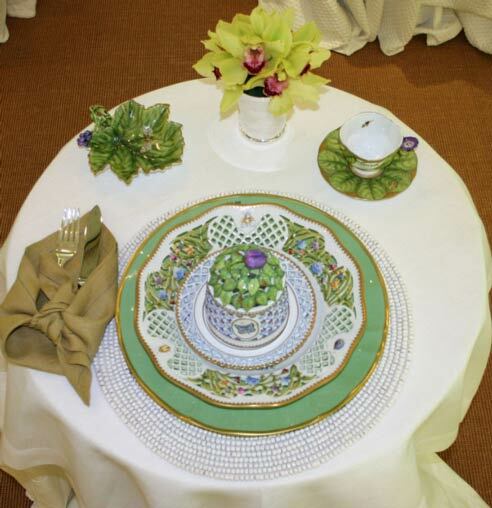 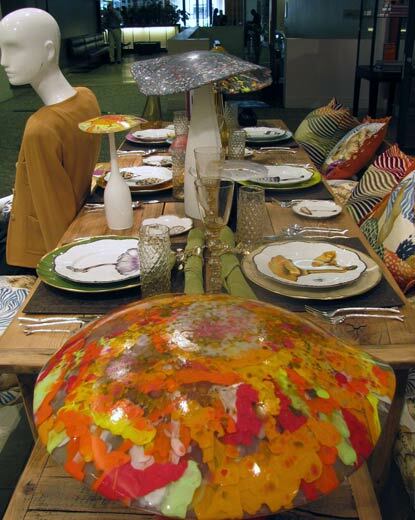 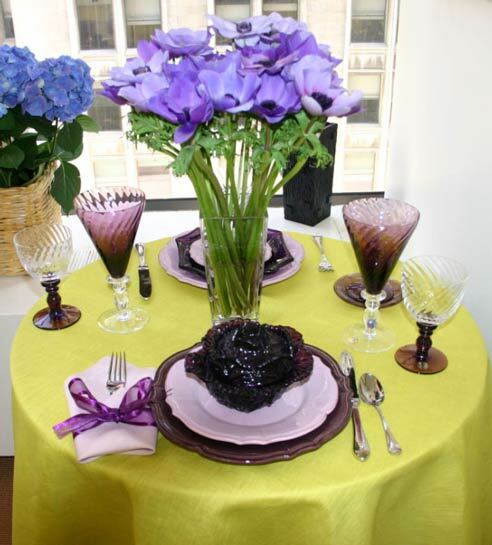 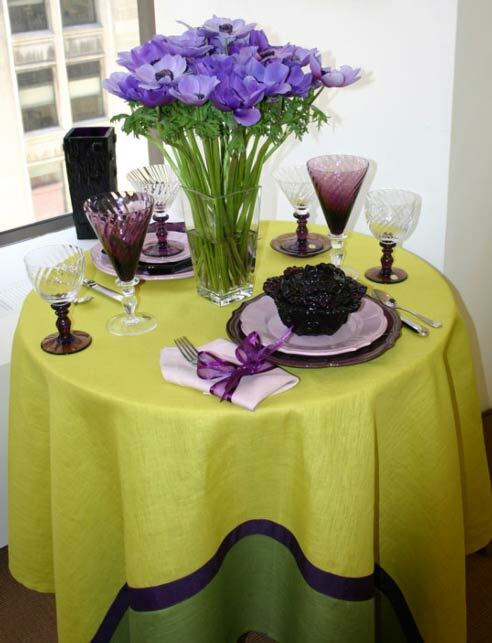 Tablescape created by Barney's New York.